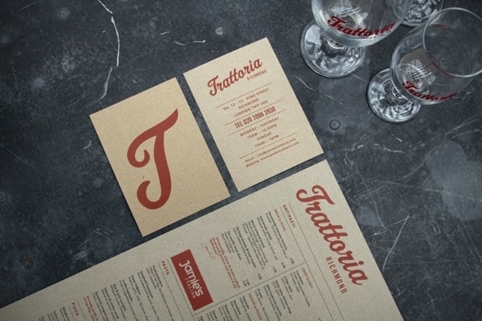 Jamie Oliver is launching new restaurant Trattoria, with branding by The Plant. 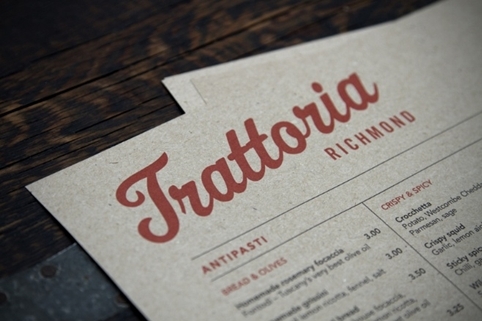 The first Trattoria branch will open next week in Richmond, west London, with interiors designed by Blacksheep. Work began on the Trattoria project around November last year. 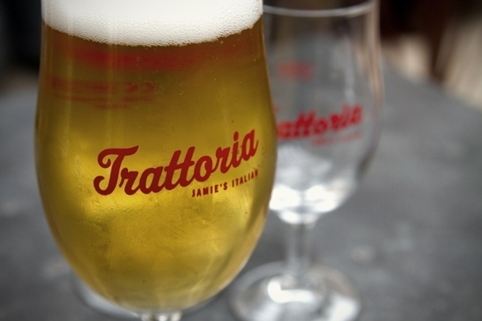 Trattoria will be loosely based on the Jamie’s Italian brand, though with a more ‘local Italian’ feel, according to The Plant. Matt Utber, The Plant founder, says, ‘It’s a Jamie’s Italian sub-brand in a sense, but what they’re offering is a more direct, stripped-down menu. It’s a very simple offer but with all the quality you’d expect from a Jamie’s Italian. The branding uses a black and red colour palette, with interiors aiming to give a ‘simple, stripped-back’ feel, according to Utber. The Plant used traditional-looking gold-leaf script typography for the signage and shop front, and a menu featuring ‘very simple’ typographic and design elements. As brand guardian for Jamie Oliver, The Plant has worked on other projects including Jamie Oliver at Gatwick, which also features interiors by Blacksheep, British restaurant Union Jacks and a number of Jamie’s Italian restaurants. 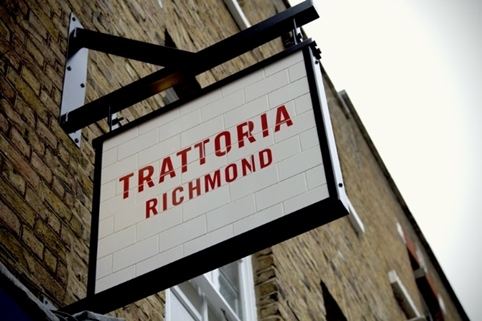 There are currently no firm plans to open further branches of Trattoria.